The United States, let alone Florida, is not known for its widely accessible and comprehensive regional mass transit networks. 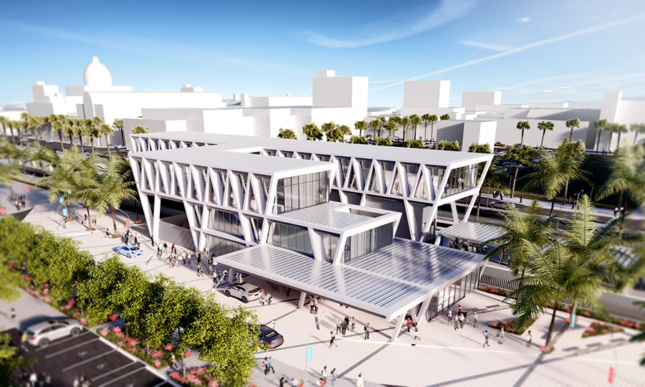 Bucking this trend, on January 15, the state inaugurated Brightline, a private passenger rail between the cities of West Palm Beach and Fort Lauderdale that shaves 30 minutes off the time required by car. While the distance between the two cities is not great, with the train journey taking just 40 minutes, the Brightline has reintroduced private commuter rail to the United States for the first time in decades. Although Brightline currently only operates between West Palm Beach and Fort Lauderdale, it is slated to expand to Miami and Orlando by 2020, utilizing 240 miles of track carving through densely populated Southeastern Florida. While not part of the current proposal, All Aboard Florida has suggested that Tampa and Jacksonville could be linked to the Brightline network. Skidmore, Owings & Merrill and Zyscovich Architects are designing the stations located in Miami, Fort Lauderdale, and West Palm Beach. All of the stations share a material palette and design aesthetic, while conforming to their individual environments. 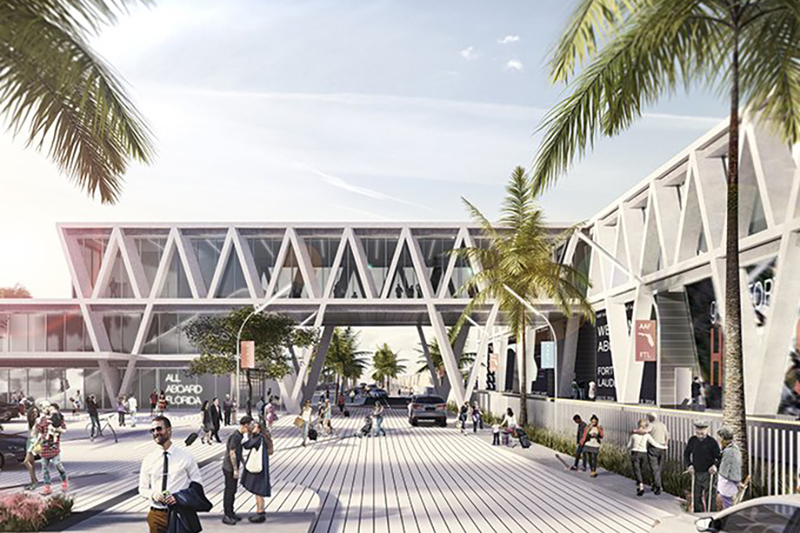 At the cost of $3.1 billion, Brightline promises to transform commuting between Miami and Orlando to a relatively minimal 3 hours, taking an hour off the drive time. 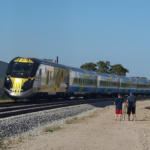 According to Next City, the new rail service could take upwards of 3 million cars off of South Florida roads, with the potential to capture up to 20 percent of travel between the two cities, two of the most visited cities in the United States. The introductory fare between West Palm and Fort Lauderdale is $10, a bargain considering the amenities aboard the train, which include leather seats, free WiFi, power outlets and bike racks. 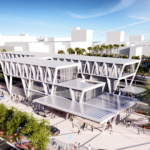 As reported by USA Today, the Brightline will prove operationally profitable if it captures just 2 percent of the 100 million annual trips between Miami and Orlando. 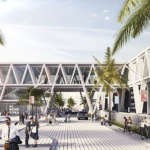 Fortress Investment Group, the parent company of the Brightline, is hedging that its investment in new transit hubs will increase property values surrounding stations as well as revenue generated by real estate development. 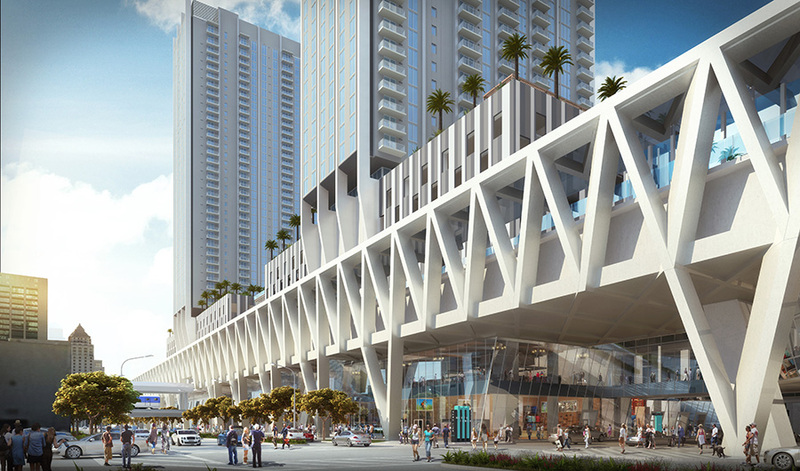 Forrest Investment Group is already building more than 800 high-priced rentals at its Miami station and close to 300 in West Palm, in tandem with new skyscrapers dedicated to commercial and retail functions. 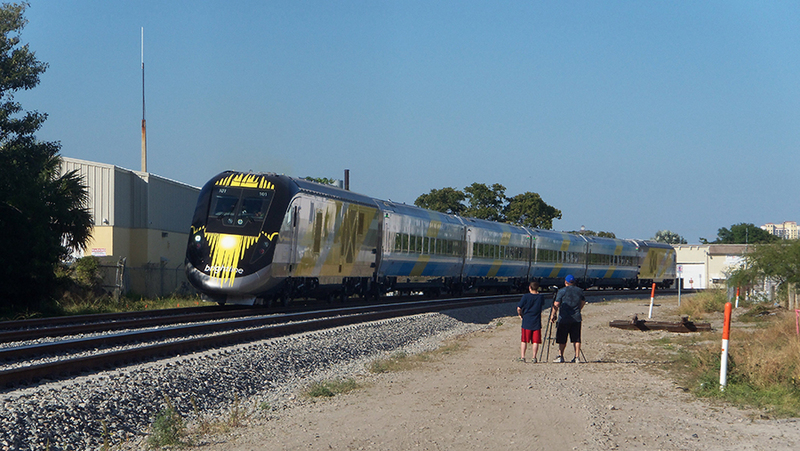 While Brightline is based in Florida, its model of privately-funded and operated high-speed rail is replicable across the country. According to Modern Cities, Brightline is considering implementing its concept in similar urban corridors to those in Southeastern Florida, with the possibility of new links between Atlanta and Charlotte or Houston and Dallas. 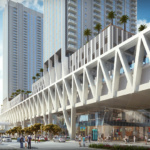 With the Trump administration’s recently leaked draft infrastructure plan emphasizing financially independent public transport systems, Brightline could prove to be a successful model for expanding rail service to millions of Americans while spurring high-density development in sprawl-ridden metropolitan areas.